Wayne Community College can help an Active Duty student complete the CCAF and exceed the standard on the EPR, or we can assist a Veteran with a career change, or provide a degree to the spouse or dependent of an Active Duty military service member. Our programs are designed for those who work full-time and wish to study part-time. We oﬀer online degree programs that can be completed in only two years and accelerated 8-week courses in a traditional setting on SJAFB. Our programs are designed to accommodate the transitory nature of military life. Earn a degree without sacriﬁcing your work or family. Each military student is assigned their own advisor and has access to WCC Financial Aid VA Certifying Oﬃcials. We oﬀer Recall and Deployment Assistance. The admissions application process for Active Duty, their Spouses/Dependents, and Veterans is almost identical, with only a few specific differences. Financial Aid is where things vary a little more widely between these groups. Active duty members are required to attend the Tuition Assistance briefing before meeting with the SJAFB Coordinator. The briefing is offered on the first and third Wednesday of the month @ 8:30 am and 1:30 pm in the Watkins Das Learning Center. Pre-registration is not required. Requirements for accessing and using your tuition benefits will be covered in the briefing. Meet with SJAFB Coordinator: Active Duty Military Students must first meet with the SJAFB Coordinator for admission information. The SJAFB Coordinator’s office is located in the Watkins Daas Base Education Center, and appointments may be scheduled by calling 919-739-6765. Complete Application: Applications can be completed at the WCC SJAFB Coordinator’s office or online. Apply for Financial Aid: In addition to Tuition Assistance, you may qualify for federal or state grants or scholarships. Apply now at www.fafsa.ed.gov. Pell Grant priority deadlines: Fall semester – May 1, Spring semester – October 1. The Federal School Code for WCC is 008216. Wayne Community College does not participate in the Federal Student Loan program. Submit Transcripts: We need transcripts from your high school (or High School Equivalency/GED Certification and scores) and any colleges you have attended in the past. And yes, this means you are required to provide transcripts no matter when you graduated from high school, and transcripts for all college classes you attempted or completed. Schedule Placement Tests: Placement tests for math, reading, writing, and computer skills are used to place students in appropriate level classes. You are encouraged to utilize test review materials that are available on our Counseling webpage. To schedule testing, please call the Counseling Services Office at 919-739-6732. If you need to request accommodations, please call the Disability Services Counselor at 919-739-6729. Do I need to take the Placement Test? Complete Application: Applications can be completed at the WCC Admissions Office on campus or online. Apply for Financial Aid: You may qualify for federal or state grants or scholarships. Apply now at www.fafsa.ed.gov. Pell Grant priority deadlines: Fall semester – May 1, Spring semester – October 1. Military spouses may qualify for funding through the MyCAA program. The Federal School Code for WCC is 008216. Meet with Counselor: Students completing the placement test will meet with a counselor immediately after testing to review the results. The counselor will also officially accept you into your program of study and assign your academic advisor. If you did not take a placement test, you are required to schedule a time to meet with a counselor for acceptance into the college. This ofﬁcial acceptance makes you eligible to register at the next registration period. Apply for Financial Aid: You may qualify for federal or state grants or scholarships. Apply now at www.fafsa.ed.gov. 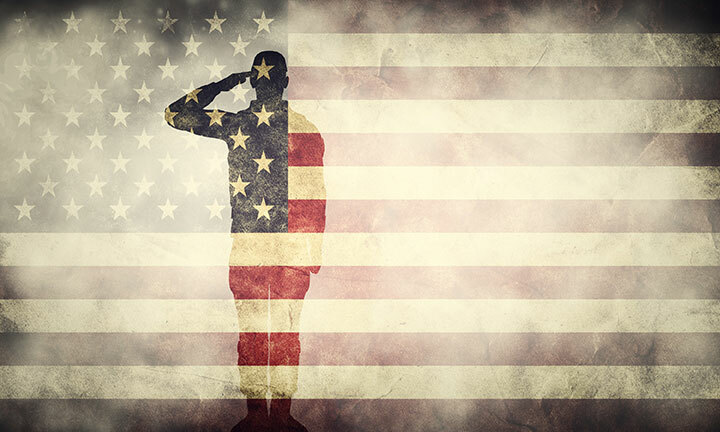 If you are planning to use Veteran’s benefits to pay for college visit the VA website. Information about the GI Bill is also online. Pell Grant priority deadlines: Fall semester – May 1, Spring semester – October 1. The Federal School Code for WCC is 008216. If you have an IT or computer networking career in mind, Cisco Networking Academy courses can prepare you to earn globally-recognized certifications. Visit the CISCO Networking Academy military website for more information.